Srinagar, June 22: Intensified efforts of security forces including Indian Army, CRPF and Jammu and Kashmir police have restricted terror activities in the valley which also brought a massive fall in the number of terrorists. These restrictions have resulted in a failure of terror groups like Lashkar-e-Toiba (LeT), Hizbul Mujahideen (HM) and Jaish-e-Mohammad (JeM). The frustration of failure in these terror groups can be seen clearly as they are now planning to rock Jammu and Kashmir by attacking Amarnath Yatra. However, to prevent this PM Modi-led central government deployed a team of National Security Guards (NSG) to the valley. 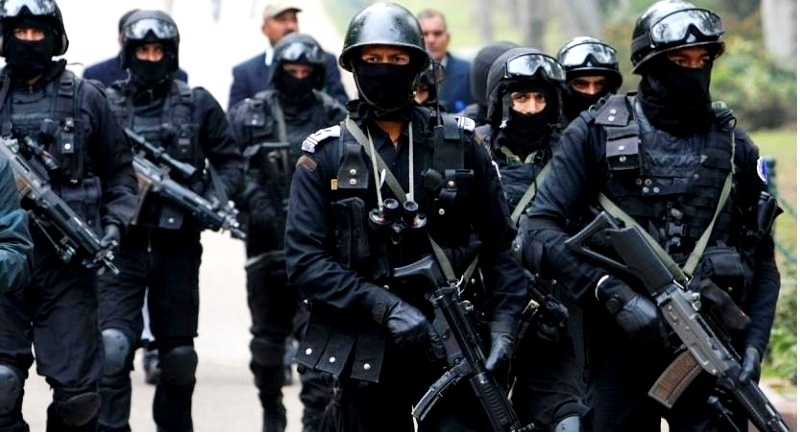 In a bid to eliminate the roots of terrorists and terrorism and safeguard the Amarnath pilgrims from terror attacks, the Home Ministry on Thursday deployed a team of National Security Guards (NSG) in Srinagar. The move comes days after intelligence agencies learned plans of LeT and JeM terror outfit to carry out attacks the holy Amarnath Yatra, which will begin on June 28 and will continue for two months. Equipped with the latest range of weapons Black Cat NSG commandos have been asked to remain on stand-by mode. They are stationed at Srinagar airport to tackle any eventuality. Earlier, a top official of CRPF confirmed that there were strong inputs from agencies of a possible terror attack. "There is a higher level of threat perception to Amarnath Yatra this year. There are terror groups working alone as well as terror groups like Lashkar, Hizb and Jaish working as hybrid terror groups. Security forces are working hard to fend off any such terror attacks," he added. Looking upon the threat, an extensive plan includes the use of radio-frequency identification (RFID) stickers for vehicles carrying yatris to aid security forces keep track of movement. Installation of RFID tags in vehicles used by pilgrims will aid in better coordination and use of drones for the surveillance of suspicious activities. The RFID tags will be installed on vehicles when an individual or tour operator registers to travel to Kashmir for Amarnath Yatra. At least 10-15 drones will operate through the day to monitor yatris. A 24X7 helpline number 1364 will start two days before the yatra. Additional CCTV cameras, bulletproof bunkers, dog squads and quick reaction teams on the yatra route will also be in place. Satellites are likely to track the movement of pilgrims. On June 20, Jammu and Kashmir went into governor's after the Bharatiya Janata Party (BJP) pulled out itself from an alliance with the People Democratic Party's (PDP) in the state government after repeated attacks on forces and civilians along with soft approach of PDP towards terrorism. Earlier to this, the central government halted a ceasefire in Jammu and Kashmir and directed security forces to take necessary actions against terrorists and terror groups. However, this is not for the first time that the NSG commandos would be deployed in Jammu and Kashmir. The commandos of the elite force have been deployed in the Valley in the past too. Interestingly, the move to deploy NSG commandos in Kashmir comes in the wake of increasing incidents of encounters with terrorists. The NSG was raised in 1984 to flush out terrorists. There are around 14,500 personnel currently working with the NSG. Normally, a small NSG team comprises five commandos led by a non-commissioned officer along with bomb experts and crack marksman. The commandos use sophisticated weapons including Heckler and Koch MP5 sub-machine guns, sniper rifles, through-the-wall radar and C-4 explosives to eliminate holed-up terrorists without causing much damage to the structure. The NSG commandos were deployed to tackle the terrorists who carried out the 26/11 Mumbai terror attack, January 2016 terror attack at the Pathankot air base as well as eliminating the terrorists who attacked the Akshardham temple in Gujarat.